Beautiful Scenic Landscape in Myanmar. Sunrise River canal Fog in Inle Lake, Myanmar. A Floating Village on Inle Lake. 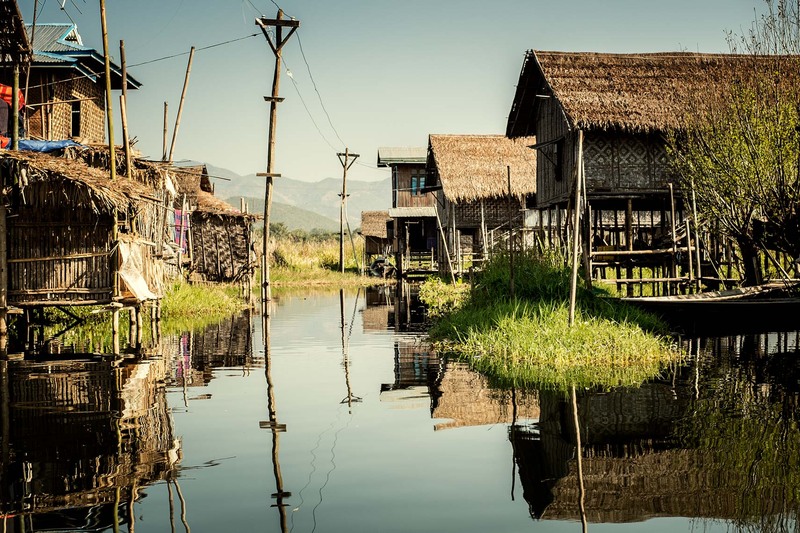 Beautiful Reflections of Homes on Inle Lake. Myanmar.